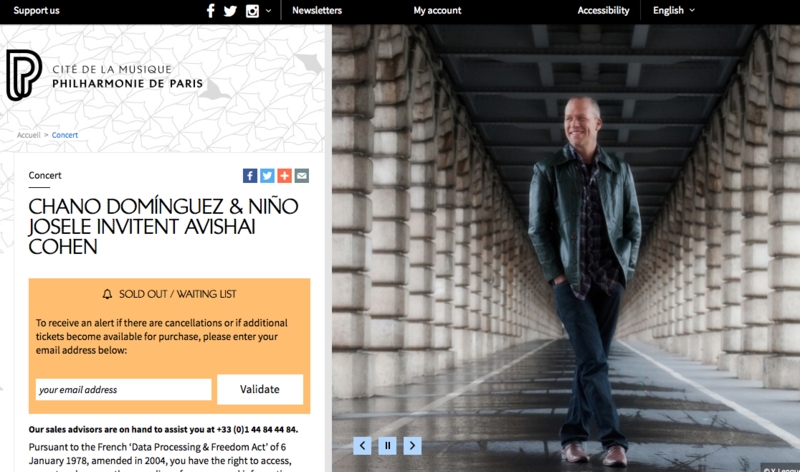 Explorers at heart, pianist Chano Domínguez and guitarist Niño Josele travel to Andalusia and back again in a journey dedicated to flamenco and jazz. Along the way, they strive to find an idiom shared by both worlds – a sort of musical Esperanto governed simply by emotion. Avishai Cohen joins them on stage for several pieces, offering a masterful dialog between three outstanding melodists. A sold out performance at Philarmonie de Paris. Learn more here.